Date of death valuations - South Eastern Appraisal, Inc. 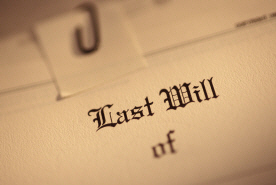 Attorneys, accountants, executors and others rely on South Eastern Appraisal, Inc. for "date of death" valuations because such appraisals require special expertise and training. They require a firm that's been in the area for some time and can effectively research comparable contemporaneous sales. Contact us for more information regarding a "date of death" valuation or determining the value of a property at some point in the past.